We were 6 of us as a gang on college trip to Delhi. On that particular day, 2 had to go to the Delhi branch of our college while, 1 had to go to visit a relative. So the remaining 3 of us planned for a shopping. The nearest options were Hauz Khas and Delhi Haat, as directed by our local friends. After shopping at Delhi Haat, we started shopping at Hauz Khas. It was a ‘Khas’ experience indeed! The shop that impressed me the most was an antique shop that had newspaper that were ages old, some old lamps, 60’s cinema posters, 40’s book prints. Of course, the prices were sky high and all I did was to admire the things. We just walked by. There were these several high end shops and designer boutiques. We did a good deal of window shopping and kept walking the lane and at the end of the lane was something more interesting. It was a monument or should I say it was a huge complex of monuments. 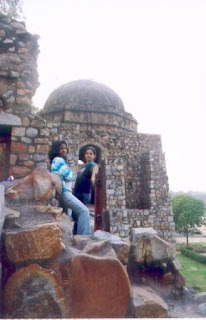 Then I did not realize I had reached the Delhi Green Park and Hauz Khas Complex. It was later I found that out. I was so impressed by this place that I pulled my dis-interested friends into this place. Once they were in with me, they too were extremely impressed by this place. We started walking and walking and there was this huge tank. I was astonished! 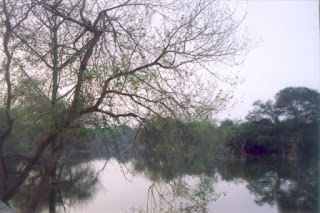 I was breathing fresh air in a cosmopolitan jungle of New Delhi. 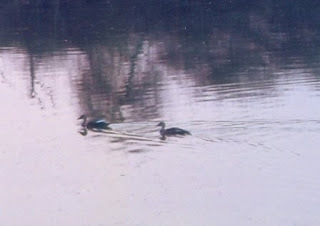 The locality was green and the tank was filled with birds. We didn’t know anything when we ventured in, just pure freaky curiosity to check out the place. The place that we had seen was the Haus Khas Complex and Green Park / Deer Park of New Delhi. The deer park has so many trees and plants. It fills the complete green needs of the capital city. The monuments were created during the Allauddin Khilji Dynasty in the 13th century. This water tank was built by Khilji and then de-silted and made usable by public by Firuz Shah Tughlaq. And several tombs and mosques and madrasas were built around this tank, including Firuz Shah’s own. The monuments around includes a Madrasa which is an Islamic school. It’s called the Firuz Shahi Madrasa. This is a unique structure. This is L shaped, located at the south east edge of the reservoir. At that tip is the Firuz Shah’s tomb and the northern end is the mosque. The two storied open air building all along is the madrasa where the education takes place. As we entered through one of the entrances of this Haus Khas Complex, we directly were at the top of one of these Madrasas and simply jumped to reach the platform beside the lake. Note this, we just jumped… Nothing of climbing down sort…!!! At the south east edge of the tank, at the intersection of the Madrasas is the Firuz Shah Tomb. He was the 3rd ruler of the Khilji Dynasty who ruled from 1351-1388. His tomb has 4 graves. One is his own and 2 of his sons’ and 1 grandson’s. As I have mentioned earlier, at one end of the Madrasa is the mosque. It’s almost in a ruined state now. It’s different than the rest of the buildings and it’s built completely with red stone and the arrangement of the stones is beautifully seen outside with mud mortar as fillers between them to fix them… I loved this mosque than the rest of the monuments in the entire complex. And we started walking around. 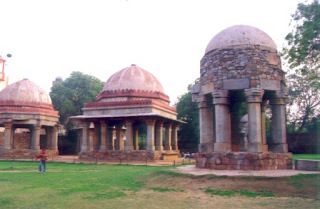 Hauz Khas complex has 6 pavilions all together and three of those 6 are clustered together. We continued to walk around. It was one of the lovely evenings I’ve spent. The sunset was great behind the thorny bushes in the water body. It’s one of the most beautiful sunsets I’ve seen with the birds returning to their nests and chirping along their ways, with the ducks swimming, with delhi-ites having their evening jog and walk, with kids playing cricket almost religiously, elders relaxing in the waterside seats. And we three walking and walking and walking until we realized we were coming round and round in the same place and almost got lost..!!! The way we jumped down couldn’t be jumped up..!!! It was alteast 10 feet tall and a route with steps had a grilled door at the end which was locked…!!! We somehow found a way out (definitely it was not our way in…!!!). We came out into a god knows what road and started to walk all by ourselves in the darkening moment by moment time, in almost lonely road. We somehow after roaming a bit, reached a main road with freaky traffic. I went up and asked a policeman, how to reach the nearest railway station. He helped us. May God bless him and his family and friends and keep him healthy and away from all dangers…!!! He was such a sweetheart…!!! We reached back home and the whole experience was nothing less than an adventure for someone like me who doesn’t know east and west in Delhi. Still, I was amazed. 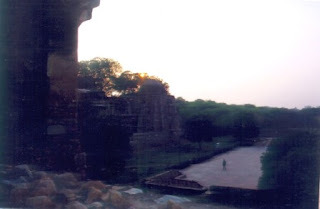 Hauz Khas Complex stands today sturdy against all odds of man and nature ever since 13th century, giving a breathing space and a piece of nature to the cosmopolitan New Delhi. OMG Bhusha! Was history your major...am sure u wud hav topped in all...nice pics to rem too. I will def chk ur blog, if I want an idea to have a trip. 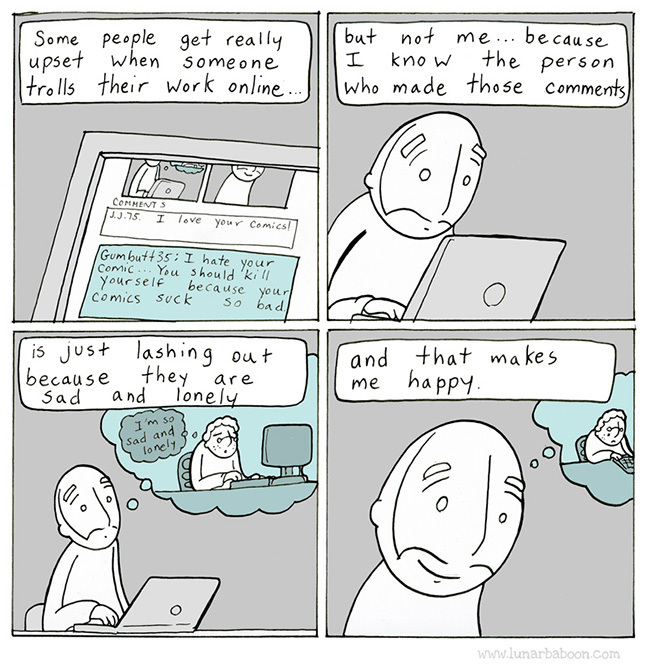 Very informative post. When people say "Delhi" only 2 places come to mind - Red Fort and Kutub Minar. This definitely is a nice place to visit and is added to my wish list. It looks like you had a nice trip.. Thanks for all the information.. This is a very interesting tour with lovely photos. 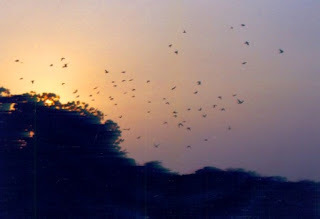 I was awe struck by the sun set photo with perhaps more than hundred birds flying in the evening sky. I am really impressed with that police man. He is a kind man. Although I have been in Delhi many times, I have never visited this spot. Many thanks for showing me around this exotic place. and when u made praises on that policeman..
Hi.. 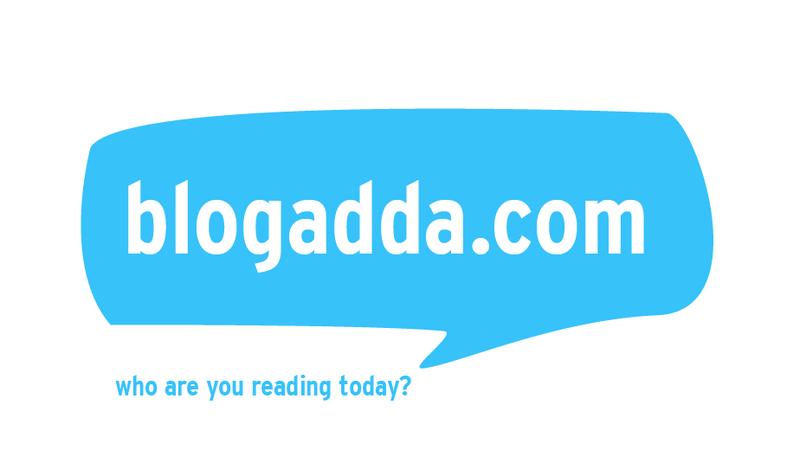 This is my first visit to your blog and I thoroughly enjoyed it. Your narration is fast paced and photos are beautiful. Thansk for sharing information about this lovely place. Interesting place, I would love to be there. Interesting adventure.Wonderful photos and information.Next time when you plan to go to some places, take a compass with you! The pictures are out of this world. Your story reminds me of this aphorism: "The world is a book; those who stay at home only read the first page". Thanks for sharing information for traveling. This is a very informative information for me . 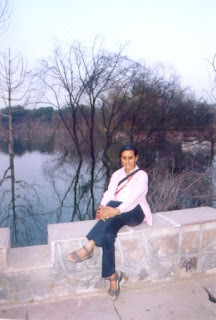 Hauz Khas was my favorite place in New Delhi! I loved the artsy community and browsing in the unique shops. I was impressed by how the ruins were left untouched in their decaying beauty. Despite recent commercialization of the HKV, this still remains the pretties and peaceful areas of Delhi. I have lived in South Delhi for a whiule and I occassionally keep going there. 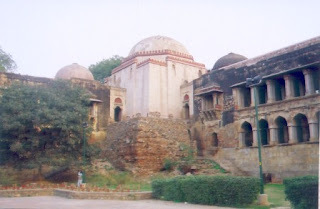 I hope I have also seen other other hidden but connected monuments in the nearby areas of Green Park and Hauz Khas Colony.